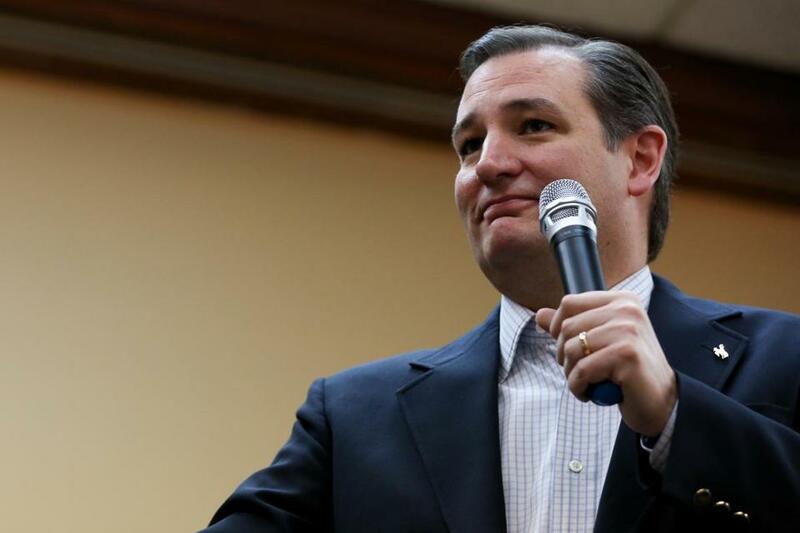 US Senator Ted Cruz spoke Saturday at the Wyoming GOP convention in Casper, Wyo. Saturday’s sweep for Cruz follows his victory last month in Wyoming, when he scored 9 of 12 available delegates at county conventions. Trump and Marco Rubio each won one delegate last month in Wyoming, while one remained undecided. Trump leads the overall delegate race. The Associated Press delegate count stands at Trump, 744; Cruz, 559; and Kasich, 144. The winner needs 1,237. Cruz was the only candidate to address the convention in Casper on Saturday, promising to end what he called President Obama’s ‘‘war on coal’’ if he’s elected. Wyoming is the nation’s leading coal-producing state. Trump’s defeat in Wyoming follows his shutout earlier this month in Colorado, where he didn’t get any of the 34 delegates in play. He has urged his supporters to protest the results to state officials in that state. Cruz, in an interview after his speech in Casper, said Trump’s decision not to campaign in Wyoming is telling. ‘‘The reason he decided not to show up is he recognized he couldn’t win, he couldn’t earn the support of conservatives in Wyoming,’’ Cruz said. LOS ANGELES — Hillary Clinton detoured Saturday from a weekend of big-dollar fundraising in California to pitch her plans to raise the federal minimum wage and refresh her criticism of rival Bernie Sanders in advance of Tuesday’s New York primary. The former secreteary of state told a cheering crowd at a Los Angeles rally that if elected, she would push Congress to lift the $7.25-an-hour federal base wage. Clinton’s remarks echoed her statements at Thursday’s Democratic debate in Brooklyn, New York. The former senator, who previously endorsed a $12-per-hour federal minimum wage, said she would also sign legislation raising that level to $15. ‘‘People end up in poverty. We need a living wage,’’ she told the audience at Southwest Los Angeles College. She credited California for recently enacting the highest statewide minimum wage — $15 an hour by 2022. The focus of Clinton’s swing through California was a pair of big-ticket fundraisers with actor George Clooney, with some donors agreeing to raise or donate six-figure sums. In response, Sanders’ campaign is running an ad in California touting his average donation: $27. Clinton has been more reliant on traditional fundraising, while Sanders has raised most of his money online.